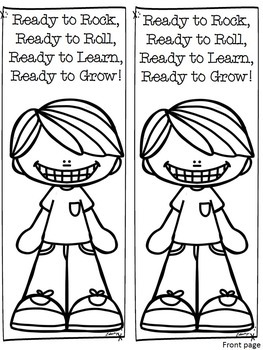 Are you looking for activities that engage your students, that aren't the typical worksheet? Here you go! 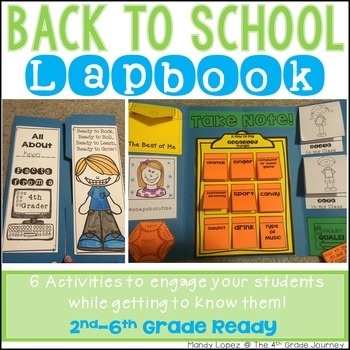 Have your students create this lapbook that will be sure to keep them focused, all while getting to know them! 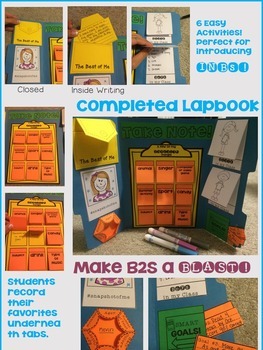 PLUS--if you use interactive notebooks, these templates will give your students a head start on how they work! 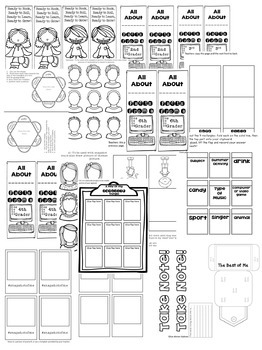 You will need manila file folders (one per student), or just construction paper if you would rather. It's super low prep, by simply printing and copying. Be sure to check out the preview to see exactly what's included. If you have any questions, feel free to email me at mrsmandylopez@gmail.com. Thank you!